23 de Marzo del 2018 10:39 am. Three players from Santos' youth system have been called to Mexico's youth national teams for participation over the international break. Adrián Lozano, who has three goals in eight games with Santos' U20 this tournament, traveled to Brazil with Mexico's U20 to play two games after a week of training at the Federation's high performance center. The team traveled to Manaus on Monday, and will play two preparation matches against Brazil's national team. Head coach Diego Ramirez's team tied with the Brazilians 1-1 on Thursday, and will play again on Sunday, March 25 before returning to Mexico on Tuesday, March 27. 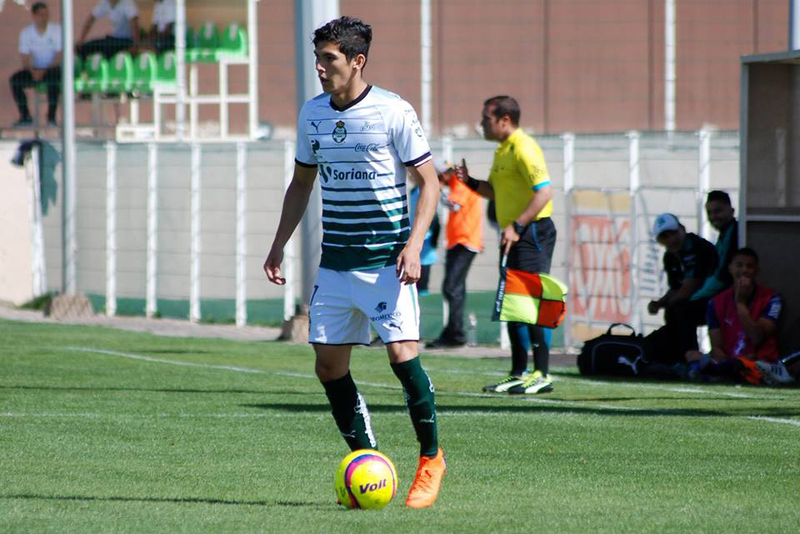 Gerardo Arteaga and Joe Garcia have been training all week with Mexico's U21 team, and will play in a friendly against Lobos BUAP this Friday in Puebla. Led by head coach Marco Antonio Ruiz, the match against first division-side Lobos will serve as preparation for the 2018 Toulon Tournament, in addition to the Central American Games which will take place Barranquilla, Colombia.